Recent media highlights suggests that the Federal Government made a non-oil-based revenue of N1.27 trillion from operating surpluses between 2007 and 20161. The period which covers the years of operation of the Fiscal Responsibility Act, shows a list of agencies and government organizations that paid the operating surpluses (revenues above approved budgetary expenditure at the end of each year) to the federal government. Notably, the annual remittances shows year-on-year increases. This is likely attributable to the improved monitoring and intervention activities of the Fiscal Responsibility Committee over the years. There is greater scope for operating surpluses from public corporations with intensified efforts at monitoring the implementation of the template for calculating operating surplus liabilities across scheduled corporations. Available data from NBS shows that Aviation sub-sector of the transport sector grew by o.15 percent in real terms in 2017Q2 down from 1.53 percent in 2017Q15. The decline is likely attributable to fall in year-on-year passenger and aircraft movement in the sub-sector, following increased air fare charges. Available data from Nigeria Bureau of Statistics shows a decline in the Nigeria Aviation sub-sector (Transport Sector) real growth rate in 2017Q1. 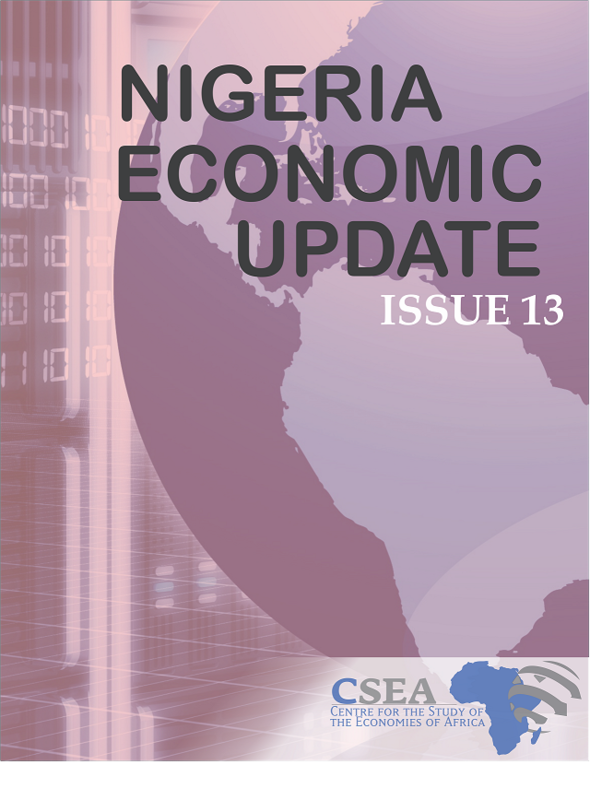 Compared to the preceding quarter, the sub-sector declined significantly by 9.6 percent, due to decline in the number of passengers and movement of aircrafts this may be connected to the closure of the Abuja airport for infrastructural development during the period. To ensure a near-optimal performance of the aviation sector, the government should also make efforts to improve aviation safety and security, establish a national carrier, and improve aircraft maintenance to world class standards. Nigerias Bonny light price declined by 7.1 percent from $40.19 per barrel on March 24, 2016 to $37.32 per barrel on April 1, 20162. OPEC weekly basket price also decreased by 3 percent from $35.81 per barrel to $34.74 per barrel within the same period3. The remerged downward trend in crude oil price is traceable to concerns over the likely failure of the oil production freeze deal between Saudi Arabia and Iran4. The outcome of the oil production freeze meeting which is scheduled to hold on April 17, 2016, will give further direction for oil supply regulation.